The umpiring decisions and the use of technology have come under the severe scanner in the T20I series between New Zealand and India. While Daryl Mitchell was at the receiving end of a howler in the second game at the Eden Park in Auckland, it was time for the opener Tim Seifert to feel hard done in Hamilton. There has been a lot of criticism of the umpires and the former New Zealand cricketer Scott Styris has also joined the list now saying that they are being nice to the visiting team. Mitchell’s case was clearly straight forward with the replays suggesting that there was inside edge before the ball hit the pads. Despite that, the umpire Shaun Baig went for the Real-Time Snickometer and hotspot, upon which the former didn’t show any spike. But the Hot Spot had a mark on the bat. However, that didn’t convince the umpire and he upheld the on-field umpire’s decision which left many shocking. To add to the agony, Tim Seifert was undone by some extreme brilliance behind the wickets by MS Dhoni. Though there some part of his foot behind the crease and should’ve been ruled not-out after watching several replays. But the third umpire, to everyone’s surprise, gave him out. Scott Styris was livid with the decision much like Simon Doull who was commentating during the match. 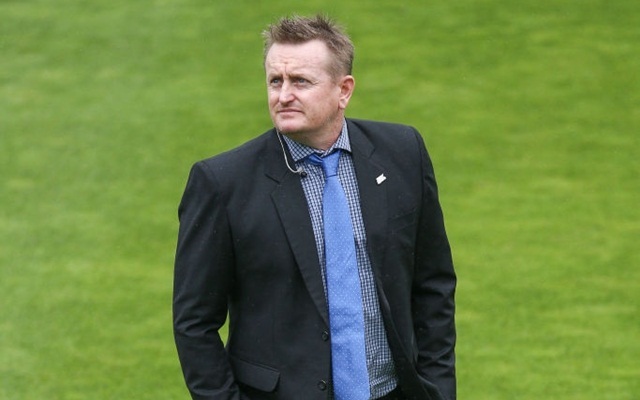 Styris felt that the New Zealand umpires are doing a favour to the Men in Blue with their umpiring in the shortest format. “Isn’t it awesome of our NZ umpires to be continually nice to the visiting Indian team. #backtobackstinkers,” he wrote in a tweet. As far as the match is concerned, the game is interestingly poised at the moment with Rohit Sharma and Rishabh Pant batting well in the middle.